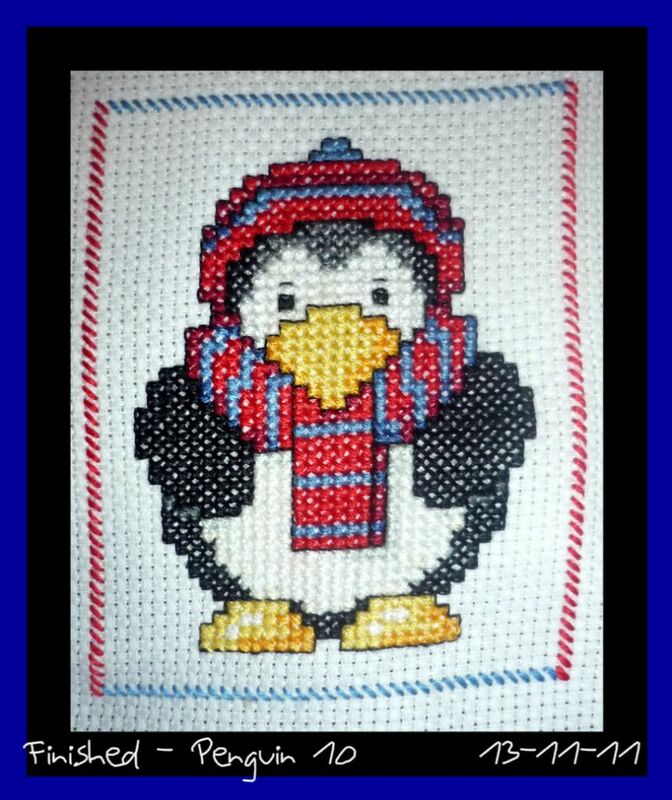 Naughts & Cross stitches: More Penguins 10 stitched! have you had a lovely weekend? I spent it camping at a place called Canungra with the Landrover club. My family is Landrover crazy. We have 11 cars at home and 5 of them are landrovers. I didn't actually get any photos of any of the cars this weekend but next time. Since my dad has essentially retired he spends his time fixing up landrovers because he can. While I was there I managed to finish the skating penguin. And start and finish a blue and red penguin! 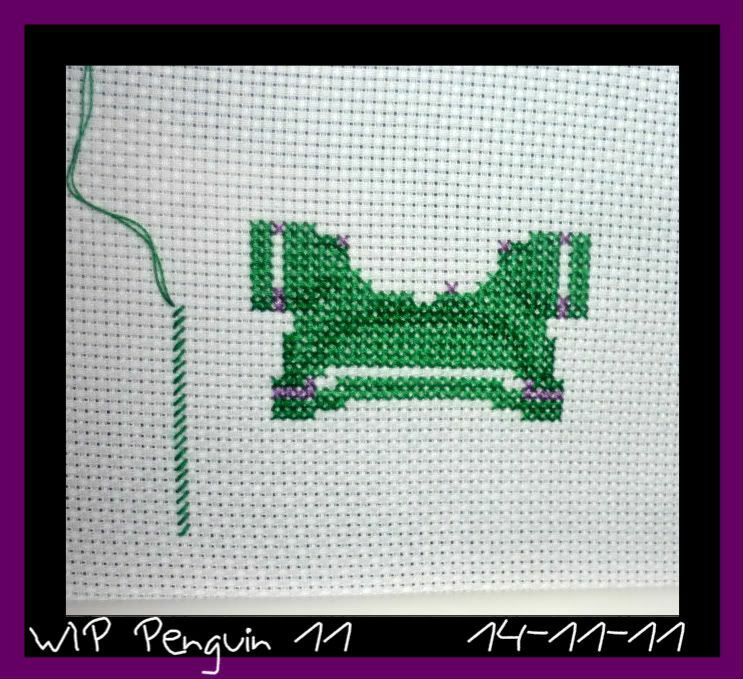 I'm also partway through another penguin it's shirt is finished now. So I've had a very very very busy weekend! Each one is as cute as the previous one! I'm sure you will stitch them all with time to spare! Great job, they all look fab. They are so cute - good luck with getting them all done. Lovely stitching, they are such cute designs. Liking the new text font, it's much easier to read! 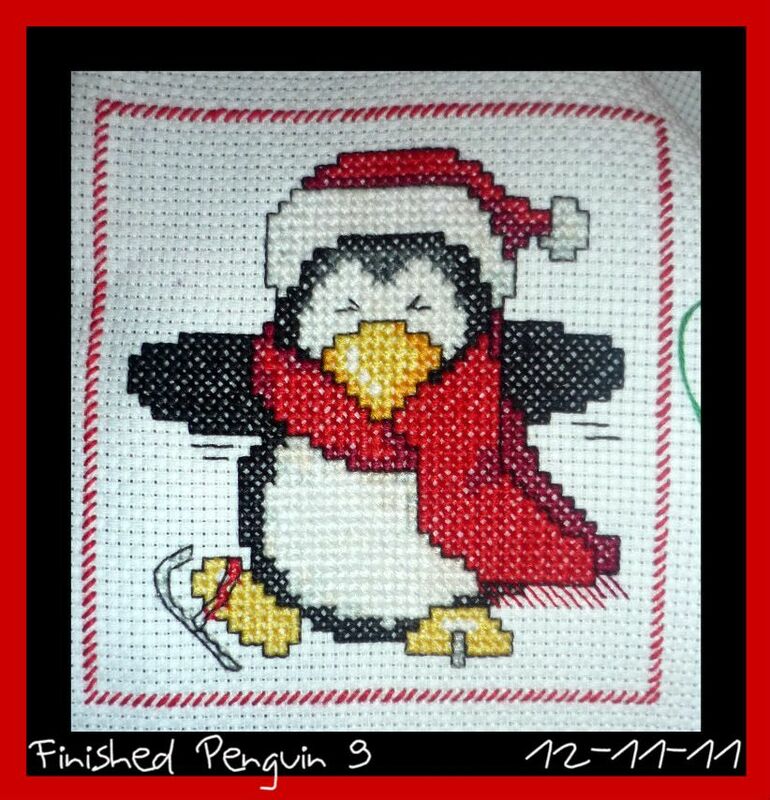 Your penguins are looking really good - you are tempting me into stitching one. But which one?! They all look brilliant.